Peter Lungerich is mainly active in the fields of Commercial Landlord & Tenant Law, General Commercial Law as well as Intellectual Property and Competition Law. He advises his clients in contract drafting and contract implementation and represents them before national courts. Further emphasis of his practice is the claim management for a number of bigger domestic and international companies. 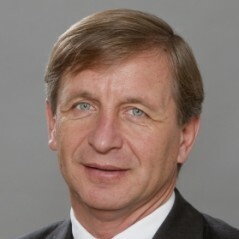 Peter Lungerich has been a visiting lecturer of the West-German Academy for Communication since 1989 in the subjects of Civil Law and Competition Law and member of two examination boards ( Chairman of one of them) of the Chamber of Commerce and Industry in Cologne. Since 1997 Peter Lungerich has been a member of the 1. Senate of the Anwaltsgerichtshof (Lawyers‘ Professional Conduct and Disciplinary Court) of the State of North-Rhine Westfalia, meanwhile as Vice-Chairman.